In response to the growing number of child deaths resulting from babies and toddlers being left in hot cars, car seat maker Evenflo has developed a sensor to remind parents and other caregivers that there is a child in the vehicle. The SensorSafe technology is built into the chest clip of the child’s car seat, and it communicates wirelessly with the car’s diagnostic system using a special transmitter, so it can monitor when the car engine is turned off upon arriving at one’s destination. At that point, the system emits gentle tones to alert the driver of the child’s presence. One would hope that this kind of technology isn’t really needed, but in our busy world full of stressed-out, distracted parents, this extra assurance could save precious lives. The new technology has been added to Evenflo’s top-selling infant car seat model, the Embrace, and will soon be added to other models as well. 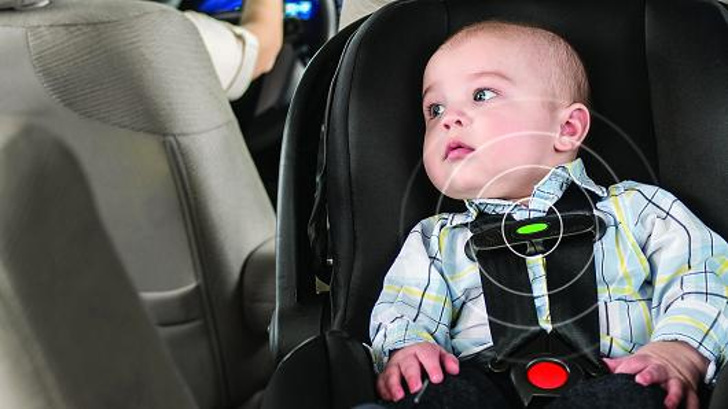 The SensorSafe feature is embedded in the car seat’s chest clip, and it uses a proprietary wireless connection to communicate with a transmitter that the driver plugs into the car’s onboard diagnostic system. When the car stops and the engine is turned off, the SensorSafe chest clip sounds a repeated, gentle tone to remind the driver about the child in the backseat, greatly reducing the chances that the driver might leave the baby unattended in the car. Additionally, the SensorSafe device can also alert the driver if the chest clip becomes unlatched while the car is in motion. Curious and restless toddlers are known for having a preoccupation with clipping and unclipping things like car seats, and an audible alert to the driver is much safer than needing to constantly check the rearview mirror to make sure the tot is still buckled in. Currently, the SensorSafe technology is designed only to work on the Evenflo car seats it’s installed on, and only in cars made in or after 2008 with a gas or diesel engine. Evenflo may eventually adapt the technology to work in hybrid and electric vehicles as well, but little is known about that process. For the time being, Evenflo is the only retailer on the market with a product like this, and the only place you can get it is at Wal-Mart for around $150. 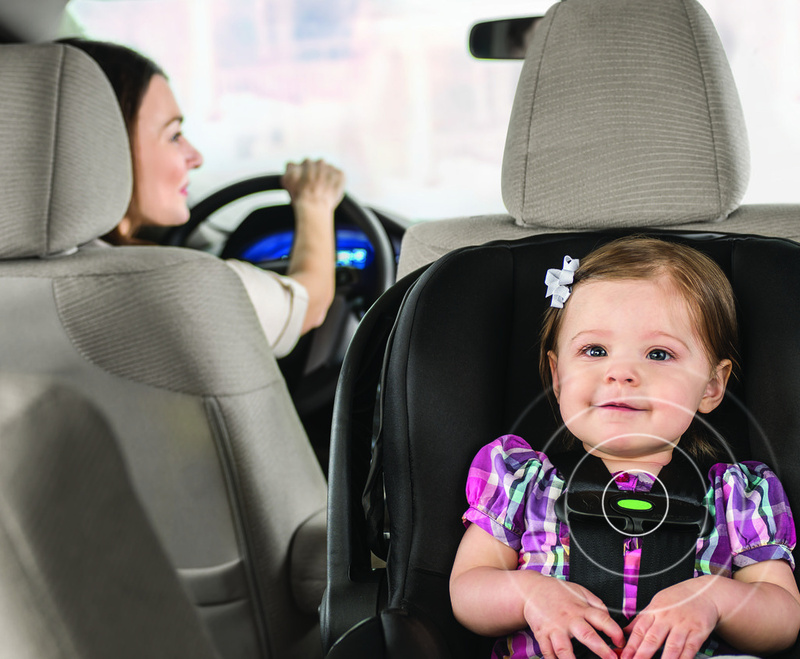 Evenflo's SensorSafe technology alerts the driver to the child's presence.